Acrobat Reader: The Adobe Acrobat Reader is required to download and open these documents. 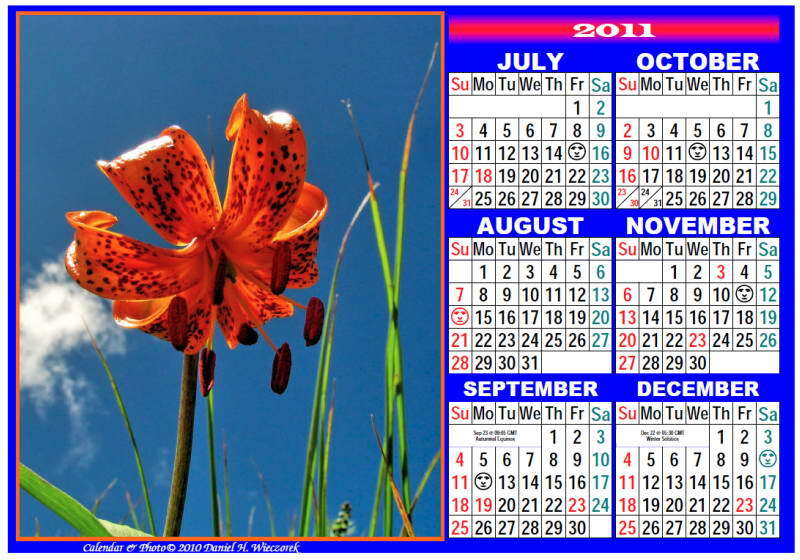 If you don't already have this software then you will need to install it before you can open and print the calendars. Please download the version for your computer here: Get Acrobat Reader. I recommend RIGHT clicking on the link and then clicking on "Save Target As.." (Internet Explorer) or "Save Link As..." (Firefox). Specify a folder for storage when prompted, click on the "Save" button, and open the selected Calendar after it is fully downloaded. Using this method results in fewer problems than merely clicking on the download button and waiting for something to happen. 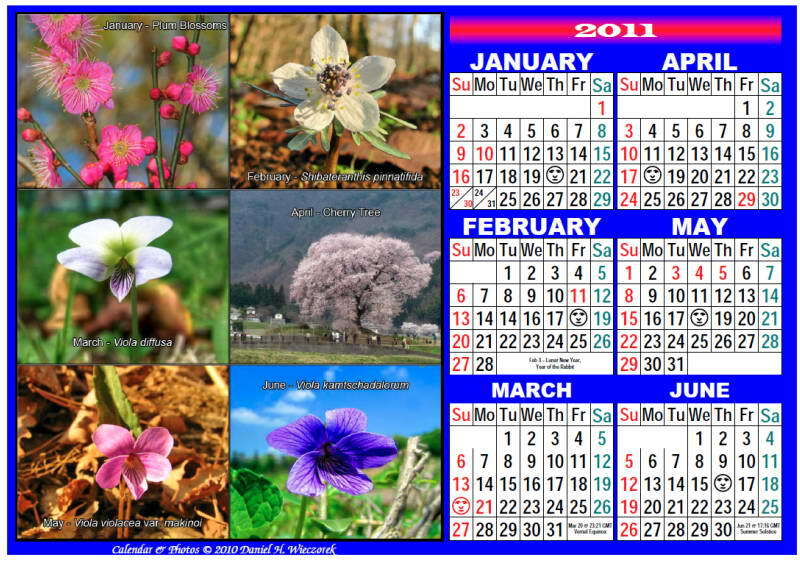 More Calendars are available than ever before so I am including thumbnails and small images (600 x 800 pixel) of them which you can view in "Lightbox". 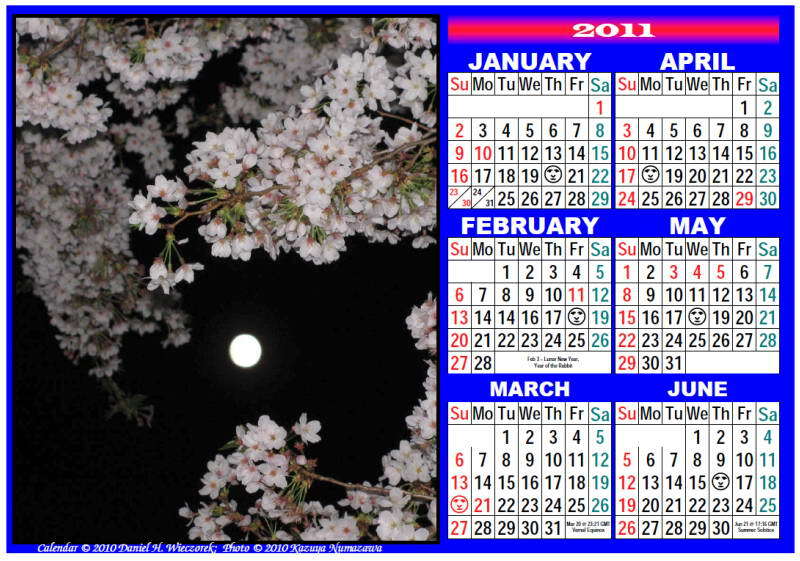 Be sure to read the text carefully so that you get the calendar which you want (with USA or Japanese Holidays). 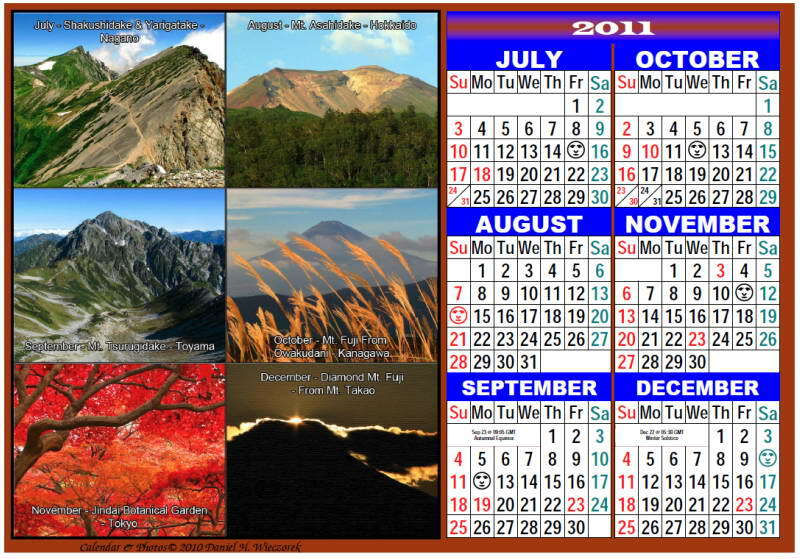 Note Well: You must click the text BELOW the thumbnail images to download the calendars. 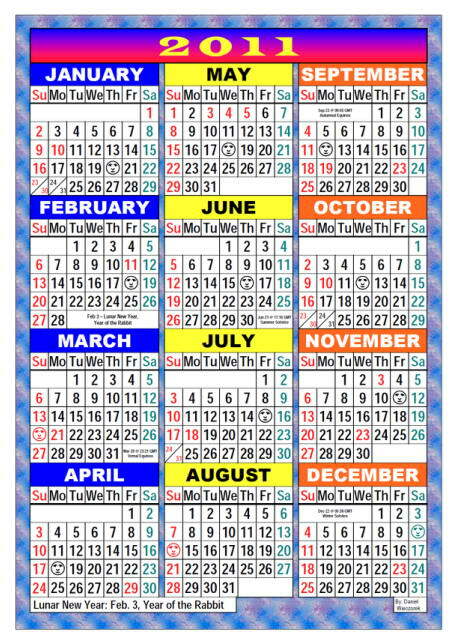 PLEASE NOTE that there is a donate button at the bottom of this page if you would like to make a donation through PayPal for one or more of these calendars. 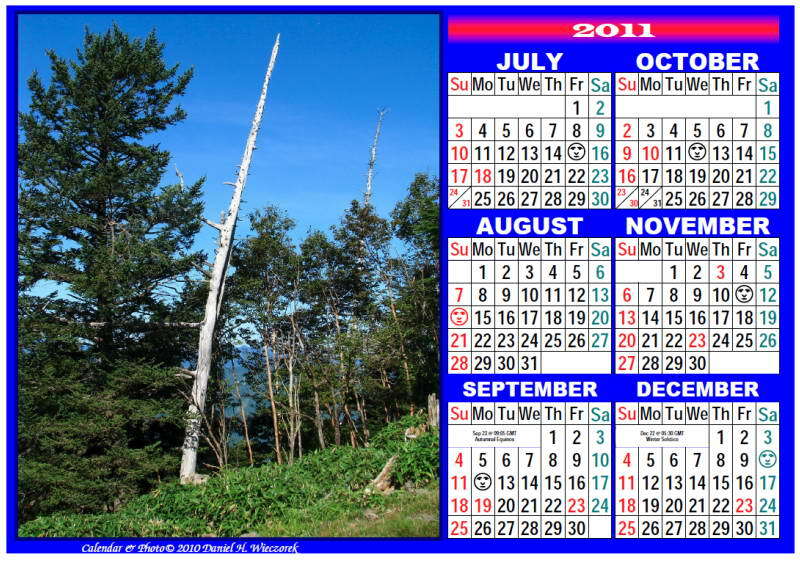 Calendars of this quality are not generally free. 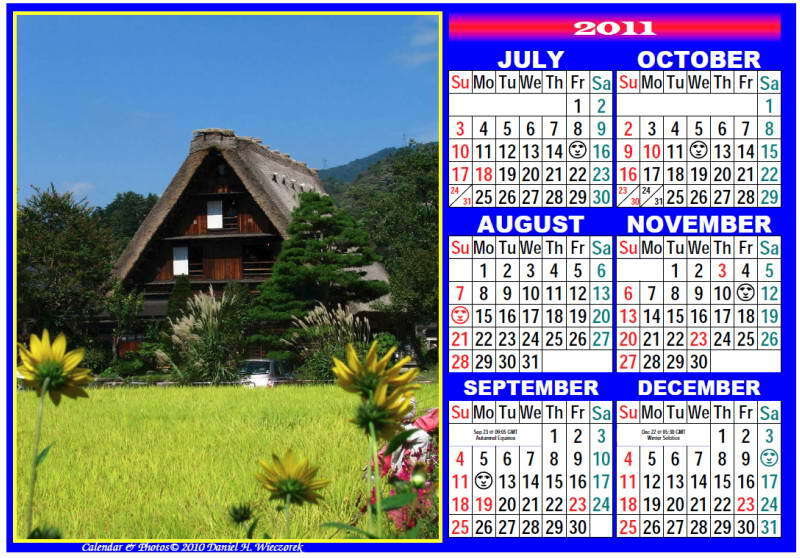 This row has a Cherry Blossoms and a Full Moon photo on the January to June side and A Grass Roof House at Shirakawa-gou photo on the July to December side of a 2 sided calendar. The first one is A4 Size Paper and Japanese Holidays and the 2nd one is Letter Size Paper and USA Holidays. 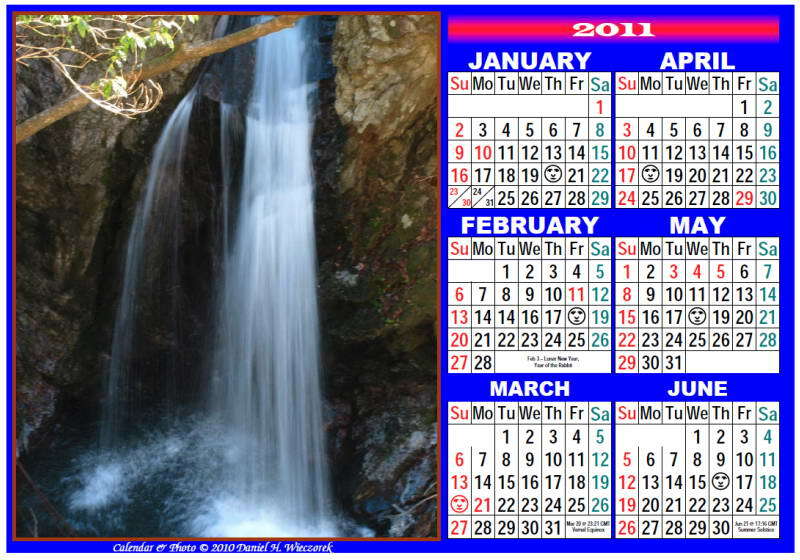 This row has a Waterfall photo on the January to June side and a Mountain Snag photo on the July to December side of a 2 sided calendar. The first one is A4 Size Paper and Japanese Holidays and the 2nd one is Letter Size Paper and USA Holidays. 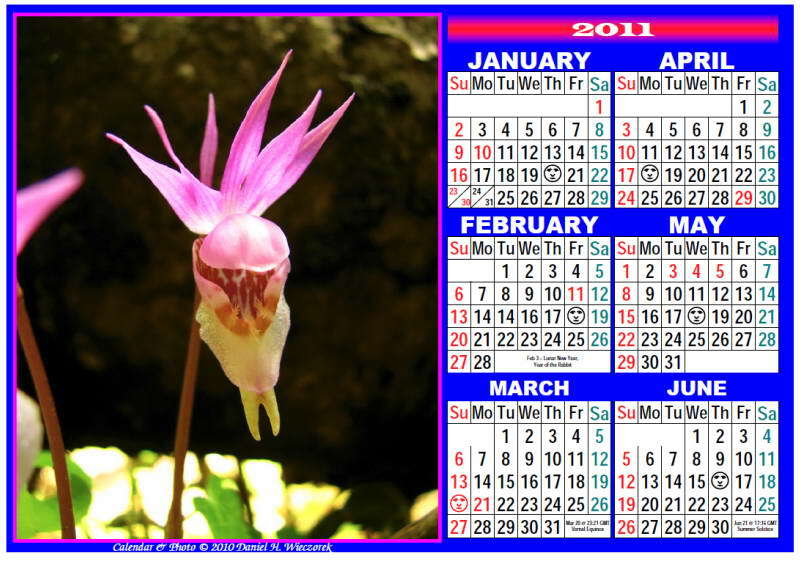 This row has a Calypso Orchid photo on the January to June side and a Lilium medeoloides photo on the July to December side of a 2 sided calendar. The first one is A4 Size Paper and Japanese Holidays and the 2nd one is Letter Size Paper and USA Holidays. 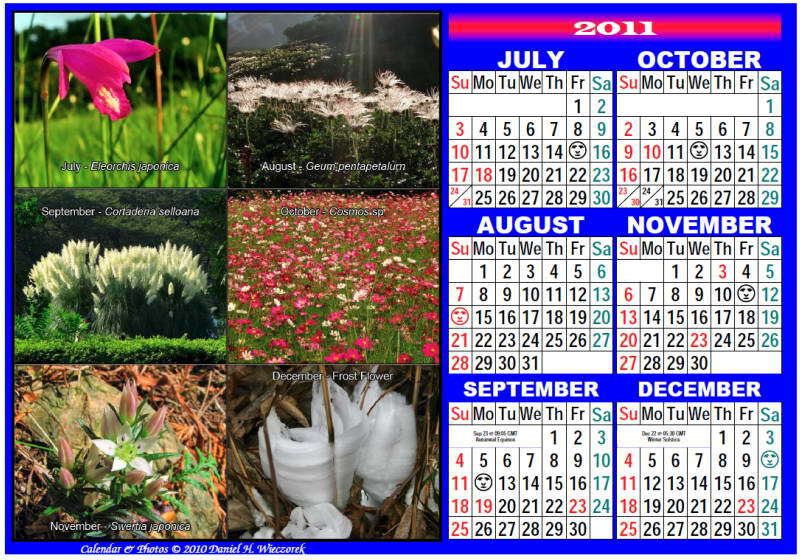 This row has Six Wildflower photos on the January to June side and Six More Wildflower photos on the July to December side (Photos taken in the months shown) of a 2 sided calendar. The first one is A4 Size Paper and Japanese Holidays and the 2nd one is Letter Size Paper and USA Holidays. 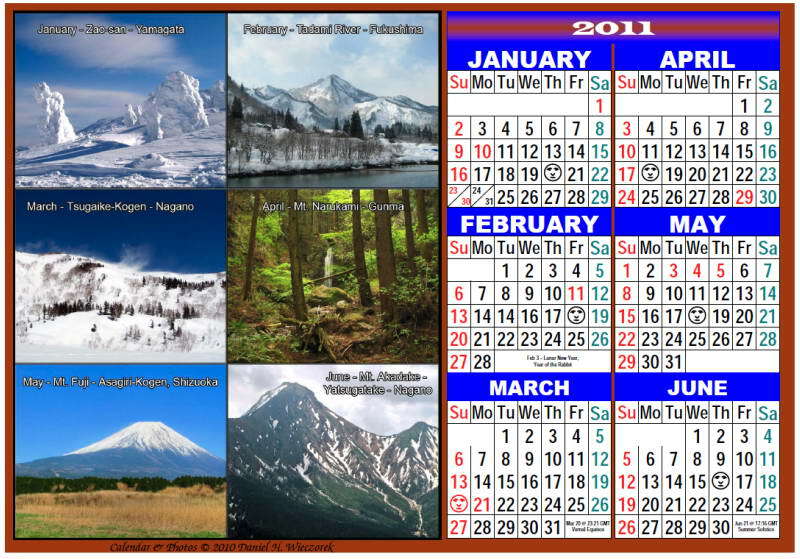 This row has Six Mountain Scenery photos on the January to June side and Six More Mountain Scenery photos on the July to December side (Photos taken in the months shown) of a 2 sided calendar. The first one is A4 Size Paper and Japanese Holidays and the 2nd one is Letter Size Paper and USA Holidays. In this row you can find a Japanese Holiday and A4 Size Paper Single Page Calendar and also a USA Holiday and Letter Size Paper Single Page Calendar. 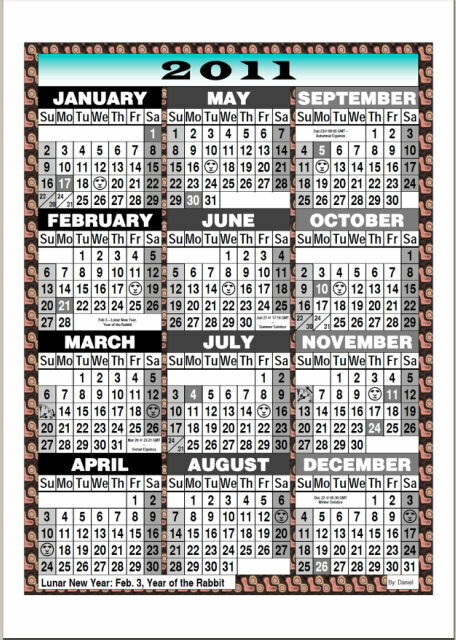 The only calendar available in this row is a wallet-sized calendar which is on a single sheet of paper. 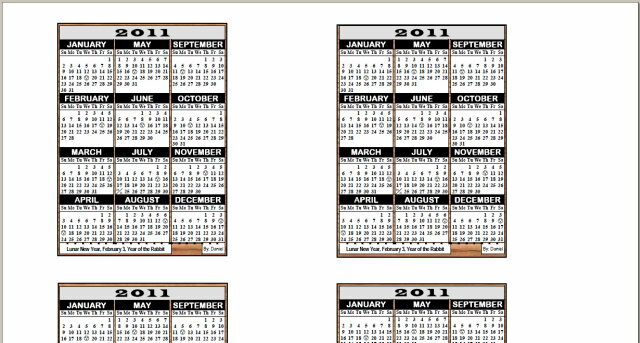 There are 6 calendars on a single page so you can print the page, cut out the calendars and have a wallet-sized calendar for each member of the family.